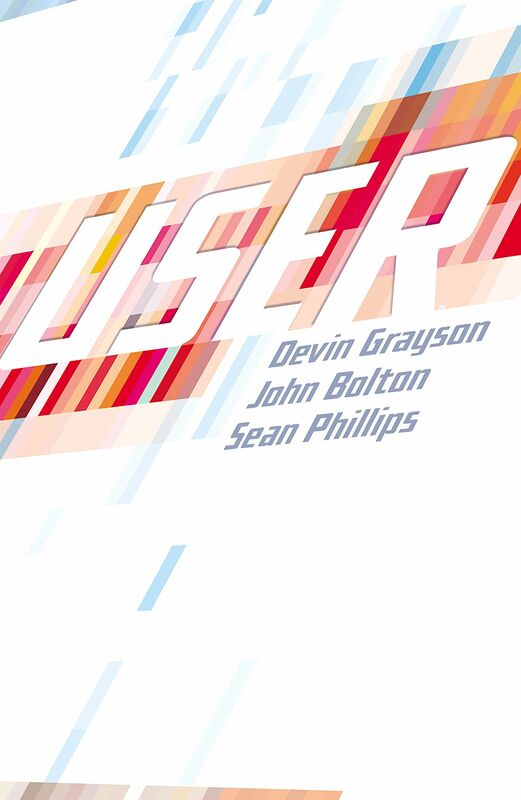 'User' Hardcover Review – AiPT! First published as a three-issue miniseries, User has been rereleased in its entirety with a new hardcover edition. Is it good? The series’ protagonist, a twenty-something year-old office worker named Meg, has a terrible home life. Her mother has moved out, her father is emotionally and verbally abusive, and her sister is regularly subjected to sexual violence at the hands of her father’s best friend. Meg is in dire need of an escape, and she finds it in the form of an online text-based roleplaying community. Frustrated with her own identity and intrigued by the chance to adopt a new one, she creates a male knight character named Sir Guilliame de la Couer. User was first published in 2001 and it shows, but it shows in a delightful way. The series’ depictions of the internet capture the turn of the millennium’s atmosphere of excitement and possibility beautifully. Meg is entering what was then still a new frontier, and all these years later, her excitement still holds up to the reader. Artists John Bolton and Sean Phillips do incredible work in this series. Their renderings of Meg’s online roleplaying sessions evoke both classic swords-and-spells fantasy and the sensation of the new digital age. The apparel in this volume is especially impressive, as Bolton and Phillips excel as mimicking a variety of textures from leather to metal armor to cloth robes. The differences between how the real world and online portions of the narrative are drawn is stark, and help to convey how dramatically Meg’s mood changes depending on if she is roleplaying or confronting the struggles of real life. That’s not to say that User approaches online activity as something that is unreal and therefore insignificant. Writer Devin Grayson does amazing character analysis here, as she explores the similarities and differences between Meg and her online persona. Many of the differences are intentional, such as Meg’s choice to roleplay as a male character. The series’ handling of internalized misogyny and violence against women by women is thoughtful and moving. User questions what makes any aspect or form of identity real or unreal without ever coming across as preaching its morals. In fact, there are portions of the narrative where Meg acts in very unsympathetic ways. Nonetheless, she remains a relatable protagonist who readers are likely to passionately root for. Grayson’s depiction of Meg, flaws and all, helps to make the character feel multifaceted, and therefore all the more real—even as the concept of reality itself is deconstructed and then put back together again. Given that this is a rerelease, many readers might expect extra content besides just the original series. There is a little bit of bonus material here, but it’s all very standard. Joan Hilty penned a very nice foreword for this edition, and there are some sketches and page layouts in the back, but overall there’s not much new content here. Nonetheless, User itself is a beautifully illustrated examination of gender, identity, power, and trauma. This series is not one to be missed. Beautiful artwork and thoughtful exploration of concepts of identity and reality make this collection a must-read.